The bank holidays are because of fourth Saturday on April 28, followed by a weekly bank off Sunday. April 30 is Buddha Purnima, which will be followed by Labour Day on May 1. Most banks will be closed from April 28 to May 1. The much-awaited long weekend is here, but before you gear up for a mini-vacation plan, keep in mind the upcoming bank holidays. Most banks will be closed from April 28 to May 1, so ensure that your banking transactions are complete by Friday and you have enough money in your pocket as there could be cash rush at ATMs. Keeping the long weekend and bank holidays, many companies are expected to credit the salaries by April 27. The bank holidays are because of fourth Saturday on April 28, followed by a weekly bank off on April 29, Sunday. April 30 is a bank holiday because of Buddha Purnima, which will be followed by Labour Day, also called, International Workers' Day on May 1. In many banks, holidays on Monday and Tuesday are negotiable, so you need to check with your bank about its operations. While the banks will not be functional, net banking and ATMs will be working across India. 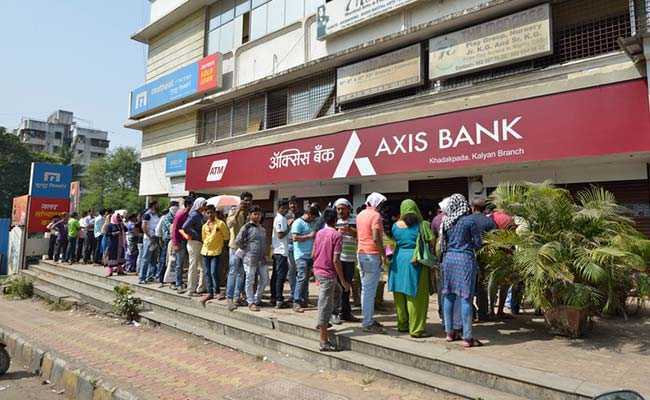 Two weeks ago, ATMs in several states faced cash shortage complains. The Finance Ministry said that in the first 13 days of April, the currency demand went up by Rs 45,000 crore in Andhra Pradesh, Telangana, Karnataka, Madhya Pradesh and Bihar and it was not a uniform cash crunch problem. Keeping the bank holidays in mind, banks will take all necessary steps to keep ATMs replenished, media reports say. Just for the sake of caution, however, keep some money handy so that your long weekend plans go without any hiccup.